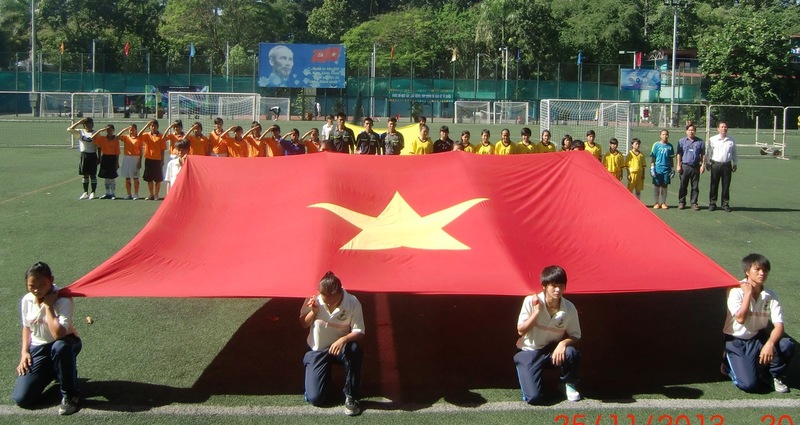 In the morning of December 26th the opening ceremony of Ho Chi Minh City Football Tournament for Secondary school’s student of grade 6-7 year 2013-2014 has happened at Tao Dan Sports center. This year, tournament lasts from December 26th to January 8th,2014 and attracts 9 teams from schools around Ho Chi Minh City. Group A includes: Dong Khoi School ( Tan Phu district), Tran Quoc Toan ( dist.9), Dong Da school ( Binh Thanh dist.). Group A composes of: Bong Sao ( dist.8), Pham Van Chieu ( Go Vap dist. 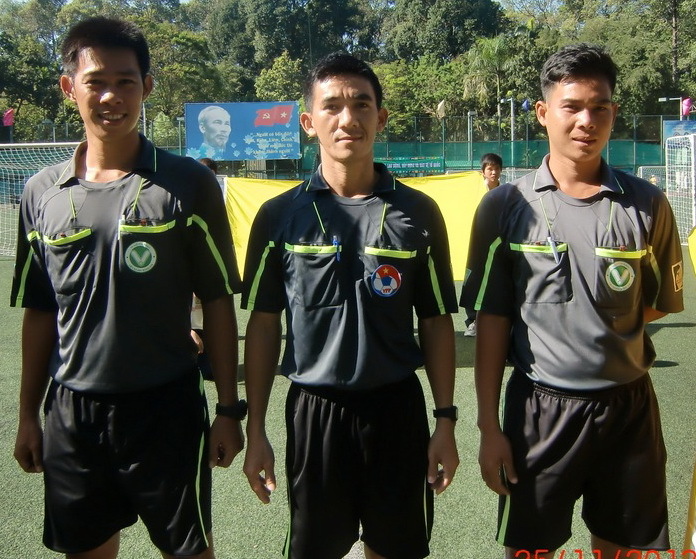 ), Lac Hong ( dist.10) and Group C: Vo Truong Toan ( dist.1), Nguyen Thi Dinh, Nguyen Hoang Minh ( dist.11). In the first match, players from Nguyen Thi Dinh school has win 9-0 over Vo Truong Toan ( dist.1). Before that, Dong Khoi school ( Tan Phu dist) has win 4-3 over Tran Quoc Toan school ( dist.9) and Bong sao beat Pham Van Chieu school 2-0.